Sooner or later, we all have to take a bath. I usually bathe Belle once a week, whether we feel like it or not. Standing by the side of the tub, she shivers and quakes. It all seems so overwhelming until you are in the middle of it, having your paws thoroughly squeezed, your ears massaged, your belly scrubbed. Then there are times when you just have to call in the professionals. Belle had gotten so long and wooly mammoth-looking that this was the case recently. 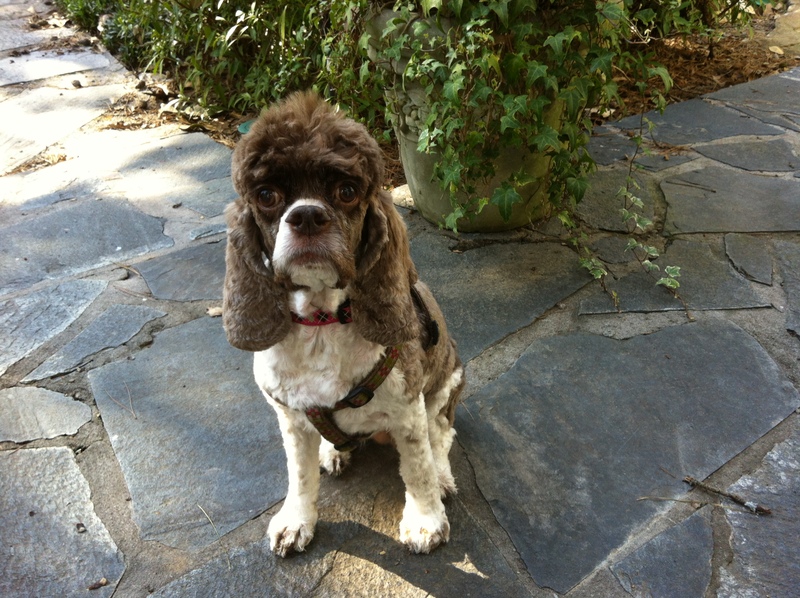 All week I had been telling her that today she would go to the beauty parlor. I was preparing her, in case she wanted time to think about it. Then, this morning, around about 11 o’clock, I got a call from the Pet Gallery. I was in the middle of work, as per usual, and although I had prepared Belle for her beauty appointment, apparently the importance of a doggie makeover had slipped my mind. So we raced off in the car, about three hours too late. The groomers were gracious as I kissed Belle on the forehead goodbye. It is a form of meditation, really, to accept your emotions as you turn your back on your dog as she gets led off in another direction. Hang tough! About five hours later, voila, we have a totally different little girl. Back to her usual size, minus fluff. If it were only that easy for all the rest of my clients to shed their excess weight!